After his operatic debut with the Lyric Opera of Chicago in 1973, David Gordon forged a distinguished and innovative international career as opera and concert tenor, recitalist, voice teacher, seminar presenter, lecturer, and author. The Washington Post called him "a model of style and charm, and an irresistible performer." David has appeared as tenor soloist with virtually every major North American symphony orchestra, and with other prestigious orchestras and music festivals on four continents. His concert repertoire spans eight centuries of music and eight languages. 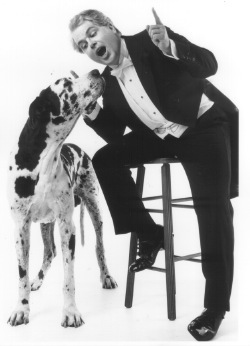 "A virtuoso singer and actor," (Salzburg Nachrichten) on the operatic stage, David has performed 60 principal operatic roles with the Chicago Lyric Opera; San Francisco Opera; Houston Grand Opera; Metropolitan Opera; Washington Opera at the Kennedy Center; Hamburg Staatsoper (Germany), and other international companies. Read a more detailed bio here. The Chicago Tribune described David Gordon as, "one of the world's great Bach tenors." 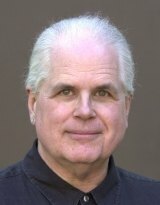 He has prformed the music of J. S. Bach in hundreds of concerts throughout North and South America, Europe, and Japan, including 30 seasons with the Carmel Bach Festival in California, where he was tenor soloist, Dramaturge, lecturer, and director of the Festival's Vocal Master Class for young professional singers. David is also a prolific classical recording artist, and appears on 17 CDs for RCA Red Seal, Decca, London, Telarc, Naxos, Dorian, Newport, and Vox. Carmel Impresarios, David Gordon's first full-length book, was published in July 2014. His most recent work, The Little Bach Book, was published in 2017. It is a richly illustrated book about daily life in Leipzig in the time of J. S. Bach. David lives in Jacksonville, Oregon, with his wife, Ginna B. B. Gordon, an artist and cookbook author. Together	they	are	the	owners	of	Lucky	Valley	Press.